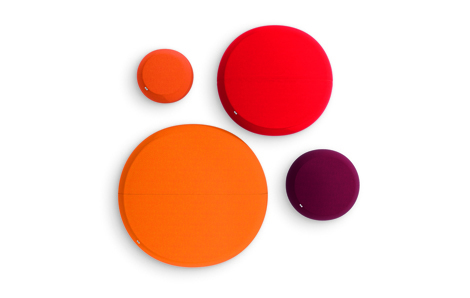 One small seat pouf from Arper’s Pix collection. Upholstery available in fabric, leather and faux leather. Available also in a version suitable for outdoor use featuring a special flow-through internal polyurethane foam and a polyester covering (P1826). Fitted with glides. Diameter 67 cm – 26 3/8”. Height: 44 cm. Graphic silhouette and color define the soft, generous volumes of Pix. 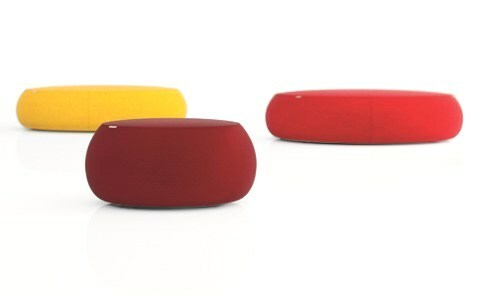 A family of Arper’s ottomans, at once inviting and iconic, Pix provides a casual touch of comfort in both contract and residential environments, inside or outside. 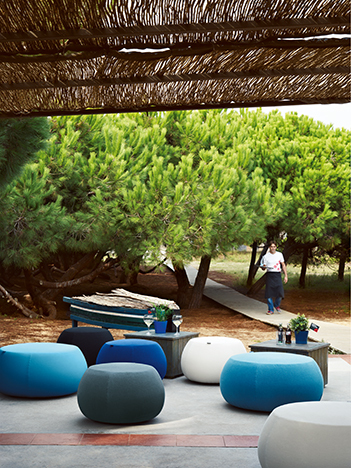 Pix is also available to accommodate use in outdoor spaces. Pix Outdoor is made of an interior polyurethane structure covered with a fast-drying fabric in polyester, in one-seat (two different diameters) and three-seat sizes. Five-seat version is available on request. The Pix Collection is GreenGuard certified.